Co-trainer Pam Gerard said: “Poppy O’Neill went well last time and now a bit fitter at her fourth start. She is nicely drawn and should appreciate a track with the cut out of it. 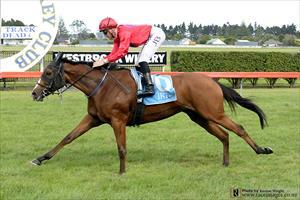 She has been working well and can put her hand up with a good effort.” Fixed odds: $9.00 & $2.60. “Press My Buttons is another resuming off a good spell. She has worked up nicely since trialling and a lot stronger this time in. We are looking to step her up in distance pretty quickly, but the mile is a nice starting point and she could produce a bold showing.” Fixed odds: $51.00 & $9.50.